Sands Resorts Macao has kicked off a series of cocktail and dinner events entitled Search for a Star – The Brightest New Stars of Sands Resorts Macao in Beijing, Shanghai, Guangzhou,Taipei and Seoul from March, to introduce the integrated resort’s newest 2018 offerings to travel industry, meeting organisers and media partners, while thanking them for their continued support. 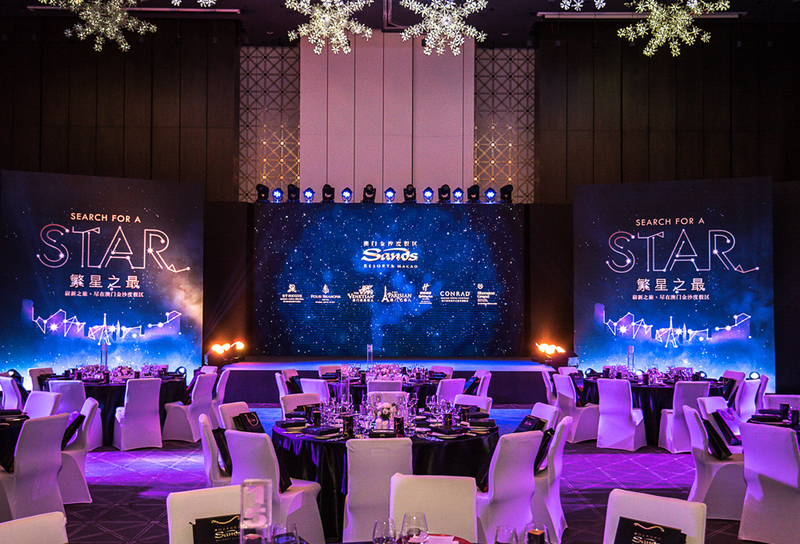 Part of a six-month, 15-city roadshow that will visit Beijing, Shanghai, Guangzhou, Nanjing, Shenyang, Chengdu, Wuhan, Hong Kong, Taipei, Seoul, Singapore, Tokyo, Osaka, Delhi and Mumbai, Sands Resorts Macao and its many new hotel offerings, entertainment options, dining and leisure activities represent “the brightest new stars”. 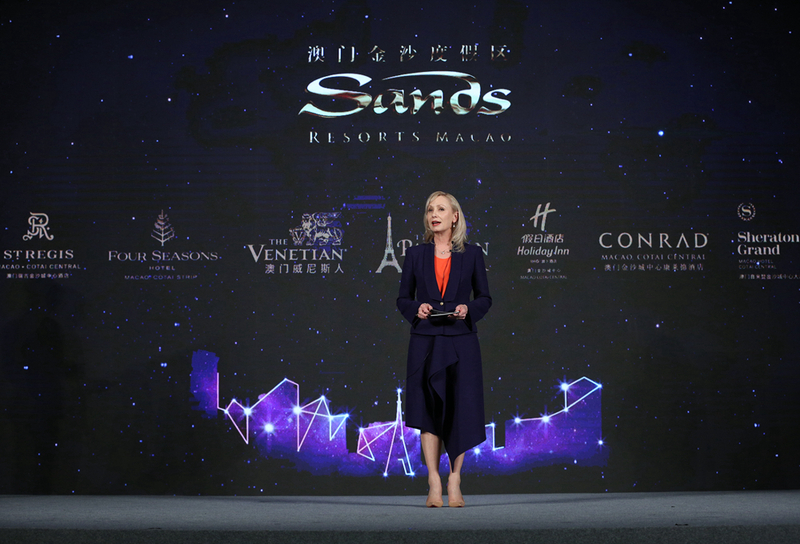 Speaking at the event, Ms. Ruth Boston, Senior Vice President, Marketing and Brand Management, Sands China Ltd., emphasised that Sands Resorts enjoys a strong and successful partnership with its trade partners. This year’s roadshow incorporates cocktail receptions, gala dinners and product seminars. The series of events are designed to showcase the integrated resort’s seven hotels, special offers and products, along with the facilities and entertainment available to guests, while further reinforcing business relationships in these key markets. Evening events incorporate signature “Streetmosphere” character meet and greets, followed by cocktails and a five-course dinner. Entertainment is provided by Sands Resorts’ own in-house dancers and singers with The Parisian Macao team performing a traditional French themed dance routine entitled “Dernière Danse” and The Venetian Macao dancers bringing their own style and energy on stage to the hit song “Can’t Stop the Feeling”. Whether travelling to Macao for leisure, business or meetings and conferences, visitors have the choice of 13,000 rooms and suites at seven distinctive world-class Sands Resorts hotels: The Venetian Macao; The Parisian Macao; Four Seasons Hotel Macao, Cotai Strip; The St. Regis Macao, Cotai Central; Conrad Macao, Cotai Central; Sheraton Grand Macao Hotel, Cotai Central; and Holiday Inn Macao Cotai Central. The integrated resort also offers 150 international dining options, more than 850 duty free stores, luxury spa facilities and top international entertainment at several world-class theatres. And with more than 150,000 square metres of versatile meeting and event space, all under one roof, Sands Resorts is the most comprehensive resort destination in Asia-Pacific. Current entertainment includes cutting-edge Parisian themed variety show La Parisienne cabaret Francais at The Parisian Theatre until June 17 and concert from superstars Bruno Mars on April 27 and 28 and Celine Dion on June 29 and 30. Another huge draw for visitors are the amazing Monkey King – China Show and Planet J, the world’s first ‘live-action role-play’ interactive theme park and Thomas & The Little Big Club ALL STARS featuring Thomas the Tank Engine and friends for the family market. A perennial favourite is the signature Gondola Rides at The Venetian Macao’s famous canals, where guests are serenaded by the legendary singing gondoliers. Meanwhile Sands Resorts’ latest seasonal leisure package is the new Spring Getaway, offering a wide range of options and discounts for guests seeking a wonderful springtime experience across five hotels, available to book from now until July 11, 2018, with prices for two starting from HKD1,138++ (USD149++). For meeting, conference and event organisers, a new package, Meetings Beyond Imagination has also been launched featuring an array of value-added benefits and wide range of entertainment and leisure activities available only at the leading integrated resort. Other exciting news includes the announcement that the first French themed al fresco food, wine and entertainment festival, Joie De Vivre, will take place at The Parisian Macao Eiffel Tower’s Level 7 viewing platform from now until June 30, 2018. Additionally, following the successful launch of Sands Macao Fashion Week last year, the event will return in the fourth quarter of 2018. 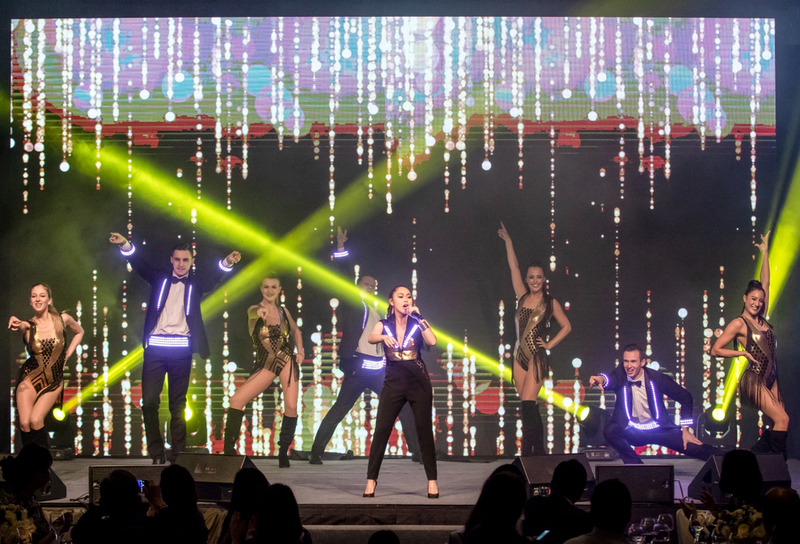 Featuring spectacular fashion shows and promotions, Sands Macao Fashion Week instantly established itself as a major new event on the industry’s global calendar. For more information please visit sandsresortsmacao.com.